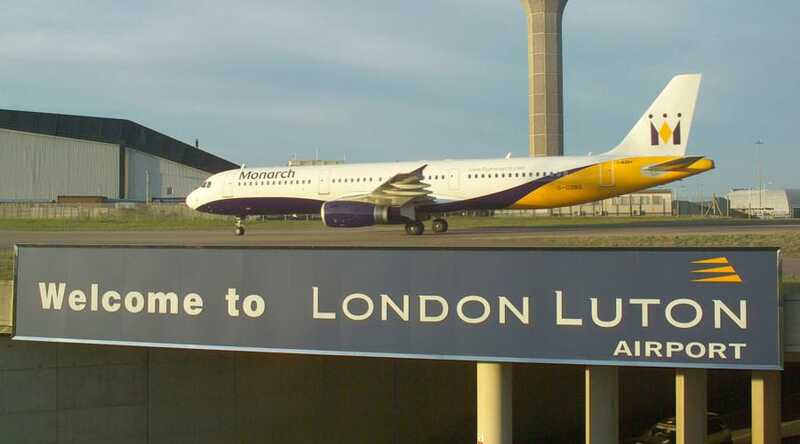 London Luton Airport is one of the busiest passenger airports in the UK, with links to central London and the South. If you’re planning on personal travel or a business trip to or from London Luton Airport, Starr Luxury Cars can help you avoid the crowds by providing an executive chauffeur service, ensuring you start and finish your journey in supreme comfort. Having chauffeured a wide range of clients, we aim to accommodate for every kind of request or necessity via our luxury airport transfer service, transporting you in and around London and beyond. Whilst we handle your onward travel arrangements for you, you’re free to relax or work in a comfortable, luxurious environment with state-of-the-art features and modern conveniences. Regardless if we collect you from your home or the airport, your private Luton Airport chauffeur will attempt to take the stress out of your journey, handling your baggage and allowing you to get comfortable in the prestige chauffeur car of your choice. Our team of professional and efficient chauffeurs have been selected for their experience and skills, ensuring you make your onward journey from London Luton Airport quickly and with ease. Whether you’re heading straight to the office, a hotel, or returning home, you may use your travelling time as you wish whilst we concentrate purely on the driving. If you’ve booked luxury transfers from London Luton Airport, your chauffeur will be waiting for your arrival. From our extensive experience, we know that not every flight goes as planned so we will monitor your live travel information, ensuring we are ready to meet you should be early or delayed, and allowing you to quickly move on to the next leg of your journey. Booking luxury airport transfers in advance allows you to avoid the hustle and bustle of one of the UK’s busiest airports, smoothly transferring from one first-class service to another. For added ease, Starr Luxury Cars also offer the option to book a Luton Airport assistance and hostess service, ensuring you have a stress-free experience both on your outbound journey as well as your return. Our professional hostesses will help with your luggage and check-in, acting as your personal assistant for the duration of your waiting time. Starr Luxury Cars are proud to hold the largest fleet of prestige hire cars in the UK, allowing you complete freedom when selecting the chauffeur-driven vehicle for your Luton Airport luxury transfers. Models include Audi and Mercedes hire cars suitable for individuals, couples and large groups. If you have a particular model in mind which you can’t see, please get in touch with our expert team and we will try to source it for you. Each of our cars comes with ample features which will help to make your journey anything but ordinary. However, we also offer a range of exclusive extras, including champagne and luxury alcohol packages, car seats or full bodyguard services to perfect your airport transfers. Fill in our online booking form to secure your Luton Airport luxury transfers booking or speak to our friendly team for further information.